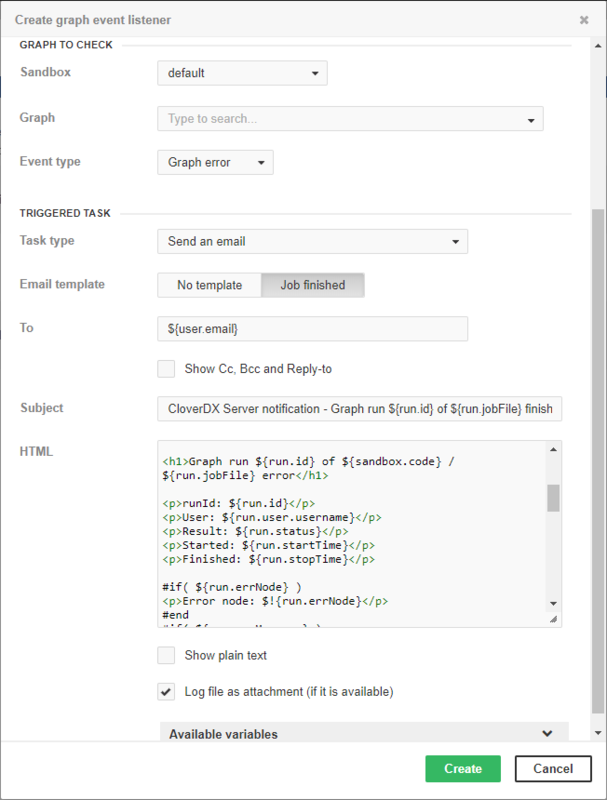 For example, we have to execute graph B, only if another graph A finished without any error. So there is a relation between these graphs. We can achieve this behavior by creating a graph event listener. 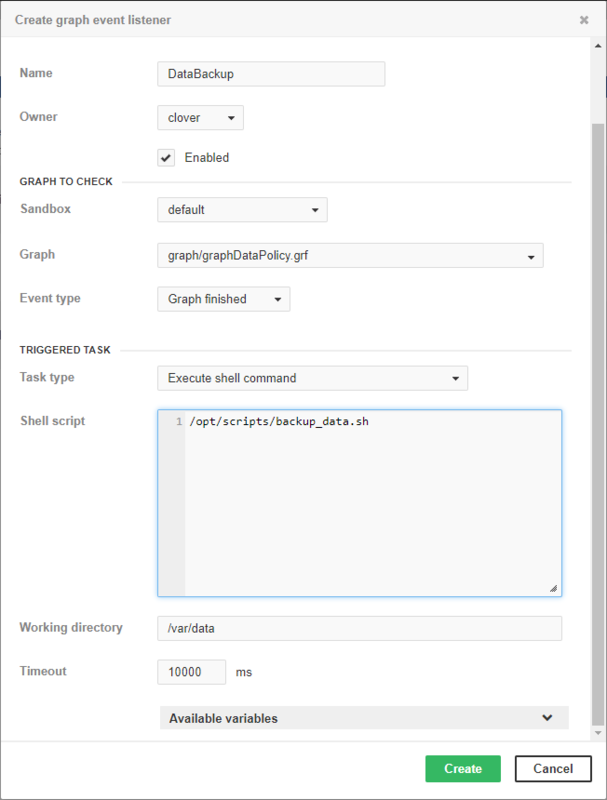 We create a listener for graph finished OK event of graph A and choose an execute graph task type with graph B specified for execution. 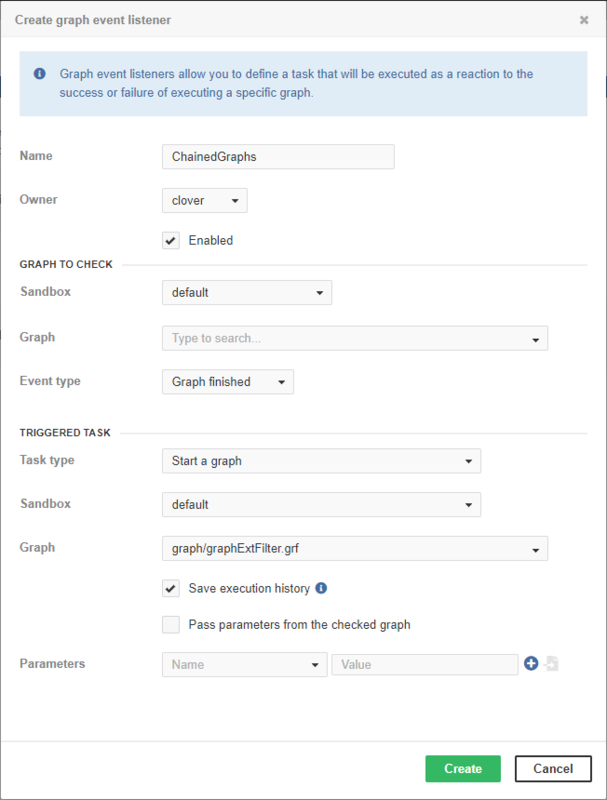 If we create another listener for graph B with the execute graph task with graph C specified, it will work as a chain of graphs.